At the request of a wise warrior, here are some talking points re: the Gatti/IPAK mouse tissue fate study for your videos. Feel free to all, or none of these points and the images below. (1) Gatti and Montanari found metals that do not belong in, and are not reported in, vaccines. 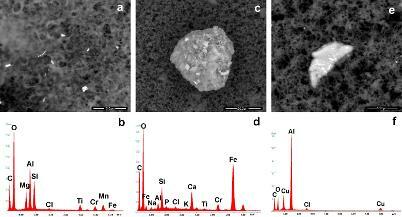 (2) These metals (and other contaminants) are verified as present in all human vaccines they studied (around 30). Oddly, the one animal vaccine they studied did not have contaminants. (3) The laboratory routinely uses controls to make sure the contamination is not a product of anything going on in the lab. (4) Many of the contaminants are "non-biodegradable" and "non-biocompatible". The study found "aggregates" of organic-inorganic composites, which are known to elicit a non-specific inflammatory immune response. 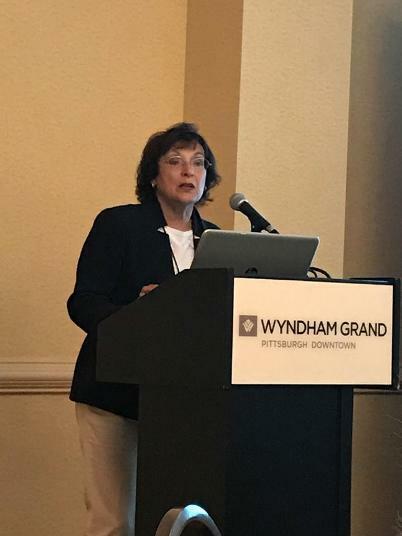 (5) Both Dr. Gatti and Dr. Montanari came to the US in June (for IPAK FOCUS 2017) in Pittsburgh and gave presentations. (6) At that meeting, Dr. Lyons-Weiler (IPAK) suggested that they study the tissue fates of microcontaminants in vaccines by injecting them into mice and studying brain, liver, kidneys and intestines. (7) Drs. Gatti and Montanari are willing to do this, and have submitted a pre-proposal to IPAK. The final study design will include vaccinated mice, mice injected w/saline put into back-emptied vaccine syringes, and non-vaccinated mice. (8) The first study will be of two vaccines (likely HPV and a hexavalent vaccine). (9) An ethics board (same as IRB) must approve of the research before it can funded. (10) Dr. Lyons-Weiler estimates that at least $24 thousand will be needed to meet the expenses of the two labs that will work on this (they will subcontract an animal studies lab for the injections). (13) Please ask your viewers to make their OWN video to inspire others. "Localization and quantitation of vaccine-contaminating nanoparticles in mouse organs"
The in-vivo tests are aimed at verifying the vaccine’s distribution of inorganic particulate pollutants in the organs of mice. More in particular, the study is aimed at identifying the nano-contamination, i.e. a contamination not declared by vaccine producers, in mice organs such as the liver, the kidney, the heart, the brain and the intestine. The investigations on autopsy samples of the above-mentioned organs will be carried out by means of a Field Emission Gun Environmental Scanning Electron Microscope equipped with an Energy Dispersion System capable of identifying the elemental chemical composition of the nano-contaminants either in the vaccines and in the murine organs. The same analyses will be performed on the same tissues of the mice used as controls. Task1 - Selection of the vaccines. At least 2: Gardasil, and a 6-vaccine. Task 2 – Characterization of the vaccine as to its inorganic-particulate content and aluminum by means of Scanning Electron Microscope and an Energy Dispersive Spectroscope (SEM+EDX). Task 2 - Identification of the dose as ratio of concentration on animal body weight. Task 3 - Study of the protocol of inoculation and following blood sampling . (Blood sampling and SEM+EDS analyses must be carried out after 1 hour, 12 hours and 24 hours). To do that, this task must be done by a particularly experienced veterinarian/technician. The amount of the blood extractable is an important topic to be discussed with the veterinarian/technician. The blood available if we use mice could not be sufficient. Task 4 - Sacrifice of the mice after 7 days and collection of the internal organs liver, kidney, heart, brain, intestine. Task 5 - Fixation, dehydration, paraffin embedding, sectioning, preparation of the sections for the SEM+EDX observations and observations. Task 6 - Evaluation of the results with SEM + EDX. Task 1 - Repetition of the analyses of WP2 but after the injection of saline. Task 2 – Same as WP2. Task 3 - Sacrifice of the mice and collection of the internal organs (liver, kidney, heart, brain, intestine). Task 4 - Fixation, dehydration, paraffin embedding, sectioning, preparation of the sections for the SEM+EDX observations and observations. Task 5 Evaluation of the results. Work Project 3 Time 10-12 months.